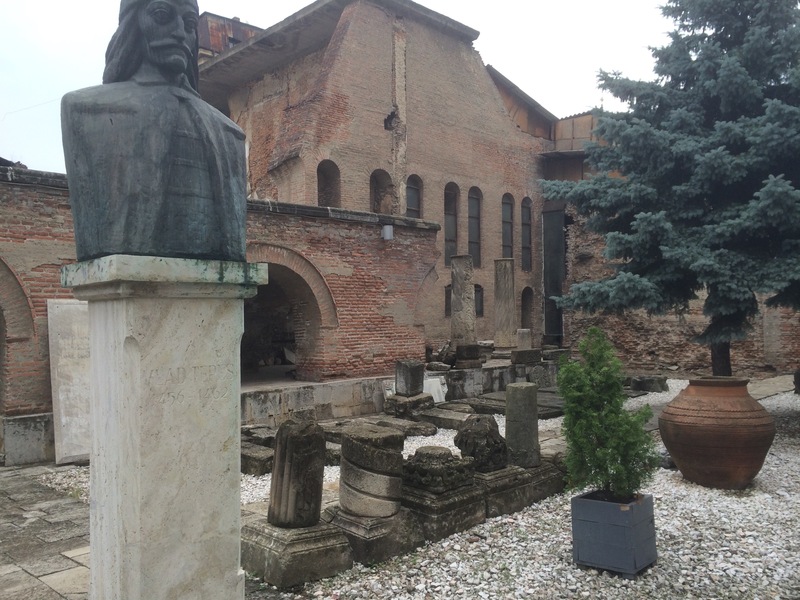 The obvious suspect: Vlad Tepes and his palace. Romania feels like something of an outlier. In the midst of countries with Slavic languages, written in Cyrillic script, its Romance language owes more to French and uses the Latin alphabet. This oddness is a little difficult to explain, even at a historical stretch: the province of Dacia, lying beyond the Danube, was one of the longest-lasting conquests of Trajan, Rome’s greatest military emperor, and for some reason that association has stuck, for all that Rome and its successor states vanished long ago. What is immediately obvious as you walk around Bucharest is that the Soviet era was a dreadful wrong turn for the city. There are many examples of absolutely gorgeous architecture – western styles given native Romanian twists – that have spent the decades since World War II, when the Romanians were on the side of the Axis, elegantly crumbling. As they crumbled, massive Soviet edifices sprang up, some of them featureless and uninspiring, others blank copies of Parisian grandeur, such as the monumental Parliamentary Palace, the second-largest administrative building in the world after the Pentagon. Photos can’t capture just how huge and out of place this is. 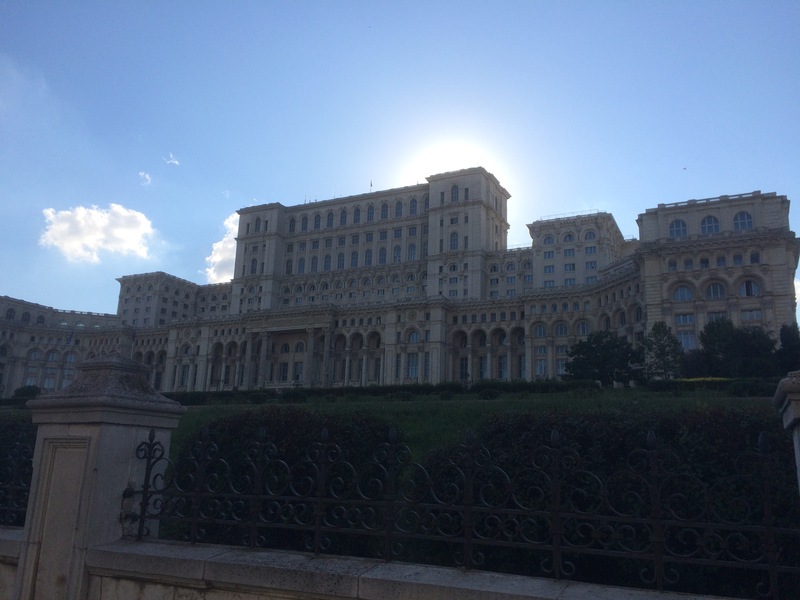 Nicolae Ceacescu’s dictatorship attempted to turn Bucharest into a metropolis and only managed to gather far too many people together, turning a city that had shown signs of becoming the Paris of Eastern Europe into a sprawling space that you could spend all day trekking around. There’s so much to see here and so much to fall for, but the omnipresent feeling that it’s still trying to recover from Ceaucescu and the economic turmoil that followed his ouster and execution. Escaping isn’t all that hard though, and it proves well worth it. Less than two hours on the train brings you to the foothills of the Carpathians and the town of Sinaia, where the Romanian king Carol I once held court at Peles Castle. Navigate through the tour groups that cram every corridor and you’ll find a mix of German, Italian and Romanian decor to enjoy, as well as rooms as richly appointed as any to be found in Europe. Though given the amount of love lavished on this one building created for the benefit of a single family, the extravagances of royalty become a little harder to support. 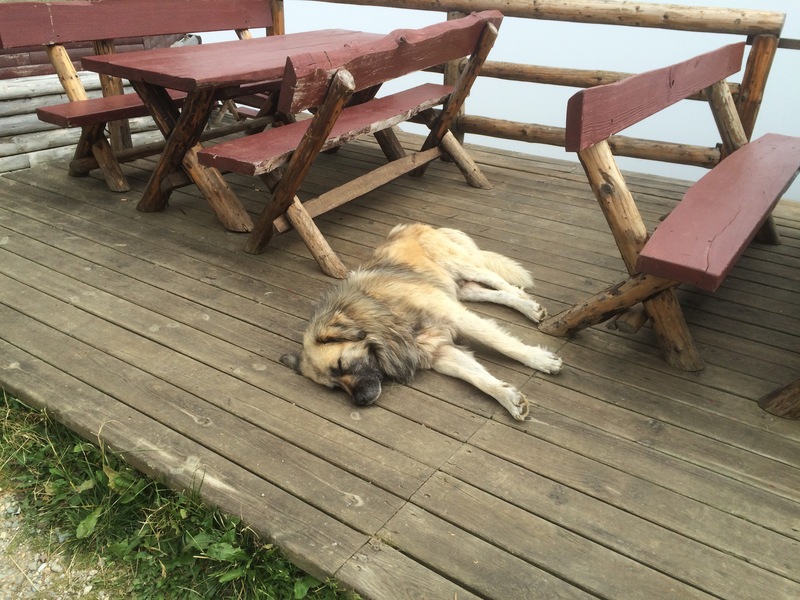 Huge fuzzy dogs – much needed on mountains. Thankfully, Sinaia offers one of the best ways to escape: a cable car gondola to 2,000m up in the mountains above. There, if the cloud cover is kind, you’ll be able to view the valley below and others as well, and get an idea of how it all fits together. And if the cloud cover isn’t kind, you’ll at least have massive dozing mastiffs and sheepskin wraps to keep you warm while you sip your hot chocolate. But Bucharest on the Danube plain remains the draw and the hope of the nation. Crumbling that old architecture may be (and the city’s Old Town is tacky enough to outdo Dublin’s Temple Bar), but there are signs aplenty of a desire to preserve just what made the city special and to incorporate it into the new spaces springing up as those Soviet monuments crumble in their turn. Should the future be kind to Romania, and it navigate the space between Russia and the EU with care, there could yet be a golden age here, and this lovely city be even more worth visiting than it already is.